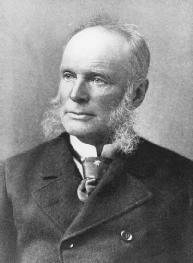 George Harding is known as the greatest U.S. patent attorney of the late nineteenth century. Harding was born in Philadelphia on October 26, 1827. He was the son of Jesper Harding, publisher of the Pennsylvania Inquirer. Harding attended public schools and graduated from the University of Pennsylvania in 1846. After graduating, he worked as an intern for John Cadwalader, who later became a U.S. district judge, before starting his own law practice. Harding was admitted to the bar in 1849, and elected secretary of the Law Academy of Philadelphia the same year. Two years later he assisted edwin m. stanton in Pennsylvania v. Wheeling & Belmont Bridge Co., 54 U.S. (13 How.) 518, 14 L. Ed. 249 (1852), before the Supreme Court. With this case he began to gain fame as a patent attorney. Harding successfully represented Samuel F. Morse in lengthy litigation over Morse's telegraph patent (O'Reilly v. Morse, 56 U.S. [15 How.] 62, 14 L. Ed. 601 ). In this case Morse was found to be the "true and original inventor of the Electro-Magnetic Telegraph, worked by the motive power of electromagnetism, and of the several improvements thereon." In the Cyrus H. McCormick reaper litigation, McCormick v. Talcott, 61 U.S. (20 How.) 402, 15 L. Ed. 930 (1858), the attorney on retainer for defendant John Manny was Abraham Lincoln. Harding and his associates, lead attorneys for the defense, considered Lincoln too inexperienced to handle the litigation but kept him on because they needed to have a local attorney of record. They promptly removed him to the status of little more than an observer. Historians report that Lincoln was devastated by the treatment he received from the famous lawyers from Philadelphia. Relying on his expertise in mechanics and chemistry, Harding became known for his courtroom demonstrations. To explain some of the patent issues being litigated, he would perform chemical experiments or demonstrate working models of the machines in question. Some of the models he brought into the courtroom were a miniature telephone system, a miniature grain field and reaper, and a furnace. In Burr v. Duryee, 68 U.S. (1 Wall.) 531, 17 L. Ed. 650 (1864), Justice robert c. grier noted that the "large museum of exhibits in the shape of machines and models" brought in by Harding were critical to giving the Court "a proper understanding of the merits of the controversy." Harding was as much a showman as an orator and was able to use humor to create interest in patent litigation. He was listed as counsel in over one hundred cases heard before the federal circuit courts of appeal and the Supreme Court. Harding retired from practice in 1897 at age seventy. He died five years later on November 17, 1902, in New York City. If they do leave it a bit dry for Imran Tahir (slow leftarmer), George Harding might come back into the options," coach Jon Lewis confirmed. Left-arm spinner George Harding will rejoin the squad after taking four wickets in the second innings on his debut at Swansea. The event took place on June 1 at the Conrad Dubai, and the category award was presented to Fortuin by George Harding, commercial project manager, MMI. George Harding (men's senior recurve champion), Jeanetta Braun (women's senior recurve champion), James Mason (men's senior compound champion) and Andrea Gales (women's senior compound champion) will be returning to defend their titles. of Worcester, MA, and sister Nancy and her husband George Harding of Marlborough, MA, as well as many nieces and nephews. On May 31 1982, George Harding, the British ambassador to Brasilia, cabled the Foreign Office: "Air attache who came within five yards of the aircraft last night reports crew was very nervous, with armed security guards in evidence. Furthermore, on 6 May 1776, 105 year-old George Harding married Jane Darlington, 75, at St Oswald, Chester. Long-time readers of California History will be delighted to see mention of luminaries whose lives often intersected with the California Historical Society: Albert Shumate, George Harding, Richard Dillon, and lames de Tart Abajian. Sarah's uncle, George Harding, had also served the British, going on spy missions that took him as far west as Niagara. Running on a political platform of isolationism and anti-European rhetoric, William Hale "Big Bill" Thompson became Mayor in 1915 with the help of local politician George Harding. Sergeant George Harding of the North Staffordshire Regiment. Main (pictured) and 19-year-old Josh Coughlin are on development contracts, while left-arm spinner George Harding, who is again included, is still in the academy.